(A) Preoperative clinical photograph (palatal sinus tract). (B) Preoperative clinical photograph (buccal sinus tract). (C) Preoperative periapical radiograph of the maxillary left premolar (#25) and supernumerary teeth. 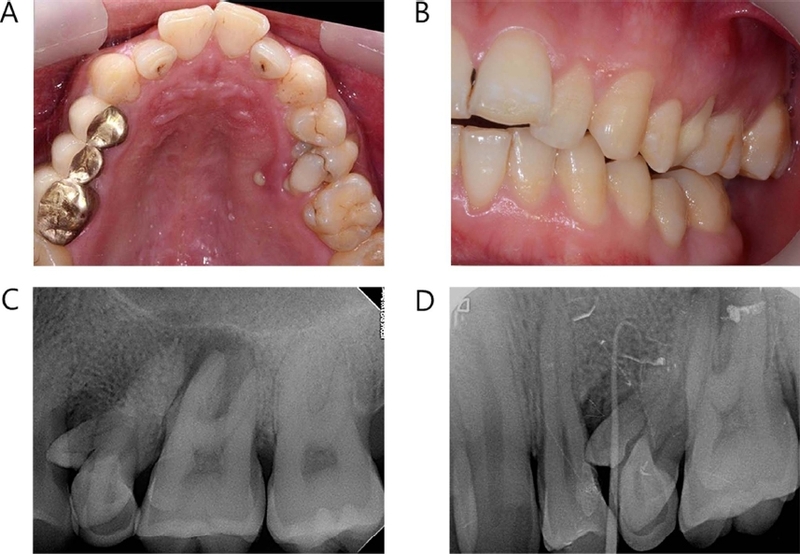 (D) Gutta-percha tracing toward #25 periapical lesion.